This guest post was written by Brenton House. Brenton is a Senior Mobile Architect for Shockoe with over 20 years experience in mobile, API, and web development. He is active in the Titanium community and has worked with clients across various industries, including broadcasting, advertising, retail, financial services, transportation, and publishing. You can find more from him on the Slack Titanium Channel, Medium and Twitter. Speech recognition in products is already big and it is growing fast. From Siri, Alexa, Google Now, Cortana, and others comes the ability for apps and devices to be able to assist users in a multitude of creative ways. While hands-free control using voice has gathered most of the attention, the introduction of new APIs has also opened the door for developers to use these mature speech recognition features within apps as well. With iOS 5, Apple introduced Siri and Keyboard Dictation which gave users a dictation button on their keyboard and allowed users to dictate speech into text for text input controls. While this was a huge step forward, it had a lot of limitations and did not have an API that was available to developers. 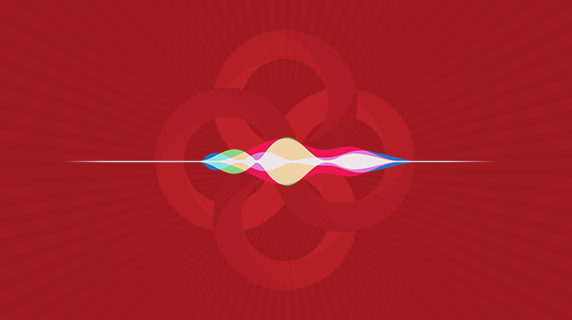 With iOS 10, Apple has released a new API that supports continuous speech recognition and makes it possible to recognize and transcribe real-time speech as well as audio from media files (both audio and video). With Appcelerator Titanium and Hyperloop, developers can use these features in apps that run on iOS 10 devices. The speech recognition API can provide dictation progress updates as it is listening to speech. It also provides developers with multiple translations of the speech and an associated confidence level for each one. With most iOS 10 devices, speech recognition does require a connection to the internet as it uses Apple’s servers to process the speech. Although we will cover how to use iOS speech recognition manually using Hyperloop in some detail, the example code in this article is part of a Hyperloop module ti.speech that makes all of this even simpler. To use the speech recognition feature does require your app to request additional permissions to work correctly. First, you will need to ask the user for permission to use the new speech recognition feature. It is required to add NSSpeechRecognitionUsageDescription to the iOS plist section of your tiapp.xml file along with a description of why the app needs this permission. Next, if your app will be listening to real-time speech, you will need to request permission to record audio using the microphone as well. This also requires modifying the iOS plist section of your tiapp.xml file to add NSMicrophoneUsageDescription along with a description of why the app needs this permission. Creating an instance of SFSpeechRecognizer will give you the speech recognizer to use in your app. It can be initialized with or without a locale. For a pre-recorded audio file, you might want to initialize with the locale for the language spoken on the file. For real-time speech, it is probably best to initialize with no locale (which uses the default locale for the device). The app should check to see if speech recognition is available before using the API. Although the speech recognizer might be available for the user’s device and selected locale, other situations, such as no internet connection, could make the speech recognizer temporarily unavailable. Calling the function isAvailable on the speech recognizer will give you the availability status. Your app will need to request permission to use the speech recognition feature as well as permission to record audio (for real-time speech recognition). The prompts shown to the user will use the descriptions that were set by adding the plist entries to your tiapp.xml file. Your app must request authorization from the user to use any of the Speech Recognition API. If the user agrees to give the app permissions to use the speech recognition feature, the app can then safely use the pre-recorded features of the API. Real-time audio requires an additional permission (as seen in next section). There are four different values that a speech recognition authorization status can have as shown below. For real-time speech recognition, your app must request authorization from the user to record audio using the microphone. If the user agrees to give the app permission, you can then use the real-time audio features of the speech recognition API (assuming the user also granted permission for speech recognition). There are three possible values that can be returned as shown below. // Recording permission has been granted. // Recording permission has been denied. // Recording permission has not been granted or denied. This typically means that permission has yet to be requested, or is in the process of being requested. To use speech recognition with pre-recorded media files (either audio or video), you will first need to create a path to the media file and create an instance of SFSpeechURLRecognitionRequest. Using the request, you can then create an instance of SFSpeechRecognitionTask which will use a callback function to report progress results. To stop speech recognition When using a file as the input source, we will need to cancel the recognitionTask. Note: Calling cancel will put it in a “cancelling” state but the task will continue until it reaches the end of the file or the time limit set by Apple (usually about one minute). After the recognitionTask task is created, you will have a few necessary steps before you can start the audioEngine. Once the audioEngine is running, it can be stopped with the code below. The progress callback will then report that it has finished and include the final transcription. Although there are some limitations with iOS speech recognition, you can make your app awesome by being aware of them and writing your code accordingly. Any time you are working with speech recognition (on any platform), it is always important to think ahead and anticipate errors that can possibly occur. Designing your app to handle unexpected errors can give your users a smooth and rewarding experience! If you want to get started using speech recognition in iOS even quicker, you can take a look at the new ti.speech Hyperloop module. Using this module and code, similar to this below, you can get up and running with speech recognition very quickly. See the example app in the repo for more details. You will also have access to many helper functions such as these below in addition to several constants for making working with the API easier. The Speech Recognition API introduced by Apple in iOS 10 is a highly accurate, fast, and easy to use library that can add a lot of benefit to your iOS apps. Appcelerator Hyperloop makes it easy for you, as a developer, to access this and other native APIs and to take your apps to a whole new level! You can find the repo containing the source code for this article here: hyperloop-modules/ti.speech. Also included is an example app that shows how the iOS 10 speech recognition works with real-time speech, audio files, and video files. There are a lot of possible opportunities to use Hyperloop with speech recognition in the future. This is but one of the many modules out there that is both written and supported by the growing community of developers using the Appcelerator Platform. Contribute to the community by taking your ideas and making something awesome with them! Thanks Javier! Very excited about all the new features and capabilities that that Hyperloop brings to Titanium native apps! Awesome post!!! 100% API coverage with Titanium!!! Thanks Leor! Maybe I can use this with your API Builder posts to create an Alexa-type app! Thanks Bert! I’ll be watching to see what you come up with! Can anyone find examples of applications that Hyperloop uses or tutorials?